Panaya Success Center How to view the Requirements Traceability Matrix? 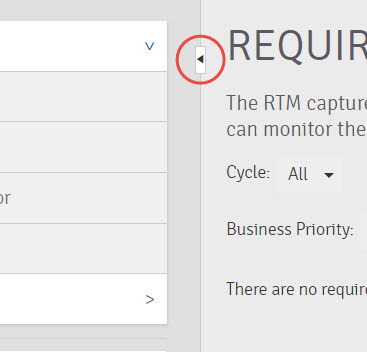 How to view the Requirements Traceability Matrix? The Requirements Traceability Matrix captures all the project Requirements and enables you to trace Requirements to Test Cases and Defects. You can filter and export the report. To identify risk to Production, you can monitor the execution of the tests covering each requirement. To filter the report, use the filters above the report. Below is an example of selecting multiple Risk indicators for the Coverage Risk filter.